Have you ever wanted to run a bare-bones Linux system? One that is smaller than your normal desktop or server distro? Does DSL (Damn Small Linux) seem bloated and bulky to you? Have you ever wanted to cook your food over an SSL connection? Do any of your kitchen appliances have a penguin sticker on them? This month, our very own Alan Porter will share his experience at "the oven place" (www.tmio.com), creating a Linux-based kitchen appliance for home use. Weighing in at 256 MB of flash and 256 MB of RAM, this 550-pound appliance connects to the internet, refrigerates AND cooks food, and allows you to control it remotely. Alan will show us what goes into the minimalist Linux distro that powers this nifty gadget. Cooking demo included. This month's program will be a panel discussion on Women in Technology, and the issues that women face in a male-dominated industry. The discussion will be led by five local women who work in various areas of technology, and will be moderated by Janet Babin of the Marketplace Innovations Desk at WUNC. There have been many tutorials on DNSSEC in the past, but few have focused on just how easy it really is to deploy secure DNS. In this presentation, Alan Clegg will provide an easy to understand and follow tutorial on rapid deployment of DNSSEC. Additionally, Alan will comment on the newly released CERT advisory regarding DNS Infrastructure vulnerability. Alan Clegg has over 20 years experience providing support and management of Internet facing systems. As a Dale Carnegie trained public speaker, Alan has provided tailored learning experiences to corporations (Banc One, Jefferson Pilot Communications), at conventions and meetings (BSDcon, InfraGard, HTCIA), and now, as part of his job with Internet Systems Consortium (ISC). During the NSF funded rollout of Internet access to higher education, Alan assisted in the deployment of “high speed” (56k!) 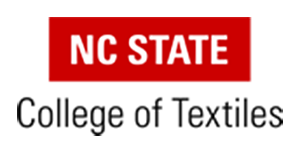 network access to all 2 and 4 year degree granting, publicly funded colleges and universities in North Carolina. 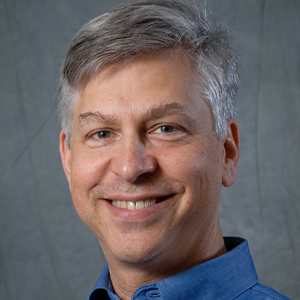 Later, as a member of the technical staff of Berkeley Software Design, he provided training and support for the BSD/OS and FreeBSD operating systems. More recently, Alan was a member of the senior engineering team at Hosted Solutions, a data center solutions provider with multiple data centers in North Carolina and Massachusetts. Alan is involved with InfraGard, a public/private partnership between the Federal Bureau of Investigation and providers of infrastructure in the United States, and recently stepped down from the office of President of the board of directors for the Eastern Carolina Chapter. Serving as a volunteer firefighter for over 18 years, Alan became an American Red Cross Disaster Services volunteer following Hurricane Katrina. He is also a trainer for the FEMA Community Emergency Response Team, specializing in CERT response to acts of terrorism. The June 2008 meeting of the Triangle Linux Users Group will be held on June 12, 2008 at Red Hat at 7pm. For directions, go to http://www.redhat.com/about/contact/ww/americas/raleigh.html. The subject of this meeting is Apple TV as a frontend to MythTV presented by Ken Mink. The May 2008 meeting of the Triangle Linux Users Group will be held on May 8, 2008 at Red Hat at 7pm. For directions, go to http://www.redhat.com/about/contact/ww/americas/raleigh.html. The subject of this meeting is the impending Fedora 9 release. Max Spevack and others will discuss the progress of Fedora, new features, etc. Each candidate will be given an opportunity to speak at the beginning of the meeting. To help everyone participate, we've created this template. Download at will. Get your friends involved. Don't worry about resolution for now. If your design is selected, we'll work with you to beef up the production version. The winner will have his/her design on the t-shirts and get a free one. T-shirts will be available at a very reasonable price for everyone else. Voting will take place at the July meeting so we can have the shirts ready for the August 10th anniversary meeting. Participation is open to everyone, but to vote you'll need to be a TriLUG member, so pickup your membership form at the next meeting. April 10 Meeting - "5 big ideas of ibiblio, 3 laws of ibiblio"
For the past 15 years, ibiblio has remained one of the major brands in the Open Source ecosystem providing services to over 3,000 projects in Open Source and Open Information. A center for collaboration, innovation and service, ibiblio (as sunsite.unc.edu and later as metalab.unc.edu) pioneered website hosting, Internet radio, network-distributed Linux distributions , and other ground- breaking activities. Paul Jones, founder and director of ibiblio.org, will talk about how the Big Ideas are put into practice and how they have played out in such specific projects as Project Gutenberg, Groklaw, Degree Confluence, eTree.org, The Linux Documentation Project, Roger McGuinn's Folk Den and other ibiblio-hosted and supported projects. March 13 Meeting - Mark Spencer of Digium, "From Project to Product"
The next meeting of the Triangle Linux Users Group will be at 7pm on Thursday, March 13, 2008 at Red Hat (directions and location information). Our speaker will be Mark Spencer of Digium giving a talk entitled "From Project to Product"
Discussion will primarily be focused on the transition from creating an open source project through productization and building a company around it. Questions will be strongly encouraged at the end of the presentation and may be of a technical or non-technical nature. who will presumably speak about Asterisk, the open source PBX.